Increase health care options. Improve health care for your world. Clinical studies are a key part of developing and proving new therapies and treatments for disease. Involvement in research that may result in more options for medical treatments and disease prevention. Participants in a clinical study are closely monitored by doctors and other health care professionals throughout the course of the study. Participation usually offers remuneration for time and effort. 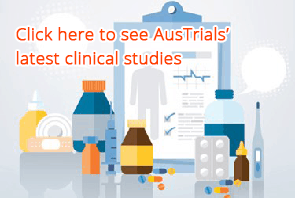 If you have questions or concerns about participating in a clinical study, contact an AusTrials representative, or visit the Links below for additional resources.